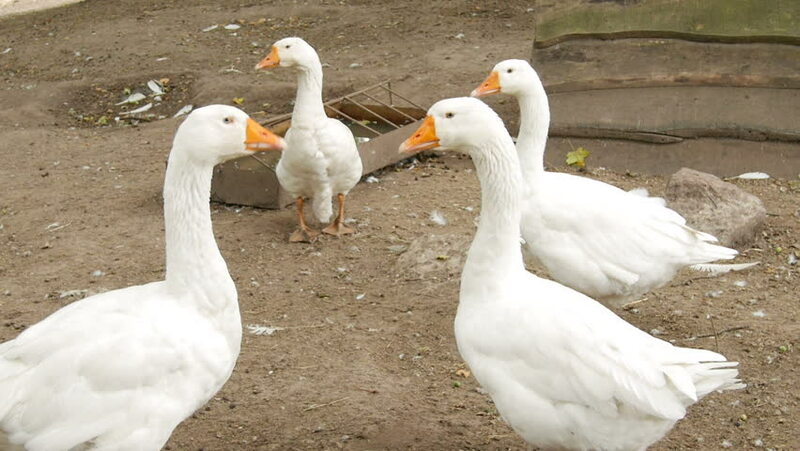 Geese in the poultry yard. hd00:25Geese and ducks grazing in the backyard in the sunset light. hd00:26zagreb, jarun lake. winter time with lot of birds (swans, ducks,coots...). hd00:19A flock of white geese and black swan swims in the summer on the mirror surface of the pond in the park in search of food. Birds in the wild nature.